In Fancy Lights we are manufacturing Chandeliers & Brackets, Wall Lights, Hanging Lights, Gate Lights, Table Lamps, Ceiling Lights and In Glass Lamp Shades we have a good range of Fluted Glasses, Doom Glasses, Ceiling Glasses and other type of miscellaneous Glasses. Specifically, we can say that the traditional and a conventional fashion to furnish our homes is a better option instead of a modern one. Illumination through crystals could make a flash in our eyes and make more brighter and prettier path to live around. When we choose Lighting Fixtures & Accessories for our traditional interiors then there would be a complete classic theme for a classic look and our All time favorite, Classic, Ethnic & Royal looking products will provide a new look for your interiors. Might be a possibility, to pick any product from our Traditional Segment and it will suit your all themes because they all are so beautiful to place that they match everyone's need. The range also covers the Wall Lights, Hanging Lights, Table Lamps, Outdoor Lights & Show Pieces too. Lighting has broken all the rules, it has no boundaries actually, so you will feel in our products. The Modern Range of Lighting Fixtures & Accessories are Stylish, more Fashionable & Crazy Looking. This Segment has a range to give a cool & Glamorous look to your specific interior looks and you can find a variety to match with various ideas. We work for several Projects, so we can say about taste of interiors and illumination spreading all over your sections. We have different ideas for kind of sections in your Home/Office/Any Places. Shades, Qualities and Illumination spreading styles give a new definition to our cool looking products. The range is covering Chandeliers, Wall Lights, Hanging Lights, Table Lamps & Show Pieces. Glass work is the most popular methodology all over the world and as a pioneer in this area since 1960s, we are making a vast range of glass products. 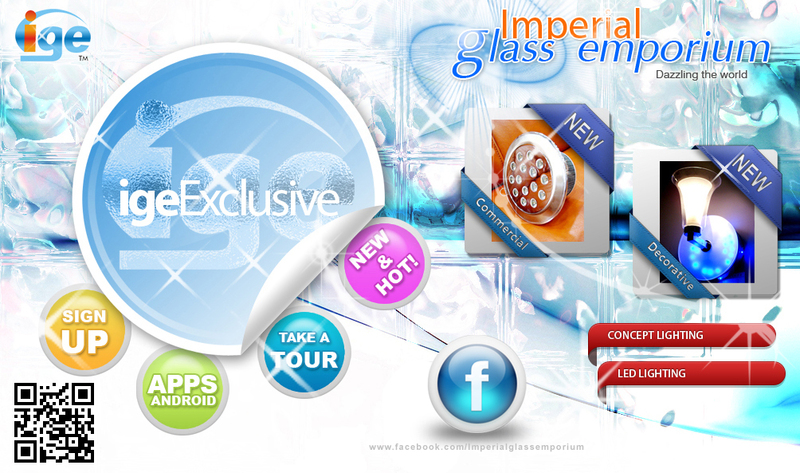 In the glass valley of India named Firozabad, Imperial is a name between glass decorative industries . Our prime motto is to satisfy end-user in all the terms i.e. quality, range, material, prices & requirements. We understand the thought of our purchaser and then we suggest or develop any product. These days we have great range of decorative Fancy Lights & Glass Lamp Shades. We have our own manufacturing units, where we are developing various range of glass products. Globally, we are exporting to different part of the world and also we import the latest product range that is stored in our stock and we can supply against the requirements & this process is continuously going on. We have categorize our all range into Traditional and Modern Products (Take a look through Product Range). Product Range covered our few designs of Chandeliers & Brackets, Wall Lights, Hanging Lights, Gate Lights, Table Lamps & Ceiling Lights in Traditional & Modern range. We are also developing any kind of Glass Lamp Shades, Fancy Lights, Glass Tumblers, Handcrafted Glass & Head Lamp Glasses.